Pinterest tripled her blog traffic. Today, Rebekah Hoffer, shares how being intentional with Pinterest impacted her blog growth and how we can harness the power of this popular platform for our own online ventures. Click the play button in the post or grab your favorite podcast app and join us for a chat! New to podcasts? Click here to discover how simple it is to listen and learn. Oh my goodness, this was PERFECT for me! Like you, Kat, I get quite a bit of traffic from Pinterest but never use it. I am a graphic designer (well, websites, mostly), so I can create graphics and I do, but that’s about the extent of my Pinterest strategy. It feels like one more thing to waste my time online (I am a wee bit addicted to Twitter as it is. :)), but this made SO much sense to me! I was running while listening to the podcast and wanted to take notes! Thank you, thank you, both of you! Another great podcast ladies! I love Pinterest! It’s a great way to get traffic, especially for smaller bloggers. I actually increased my following more than TEN times by re-branding to be more Pinterest friendly. Kat, you need to use it too! Even if you can’t dive in with both feet, even just setting it up and scheduling would probably be super beneficial for you. That is incredible growth, Brittany! Good for you! Loved, loved, LOVED this episode! I get lots of traffic from Pinterest, but I have been feeling like I need to be more intentional there. If I’m getting a nice amount without much effort, actually putting some work into it is surely a good idea. I have never considered pinning my content more than once even though I’ve seen other bloggers doing it. I guess I didn’t realize it was truly acceptable, so thank you for letting us know it is. I found this helpful blog post written by the gal who makes the decision regarding which bloggers get into the Ahalogy network right now, so I thought I’d share. http://www.ahalogy.com/blog/10-things-to-stop-doing-on-your-blog-right-now/ I don’t know exactly what it’s going to look like when they open it back up a little more widely for bloggers, but I requested an invite and am hoping! Melissa, it certainly is a mental adjustment to start pinning your own content more than once. I’d love to hear how your traffic has changed once you start making that change. Also, I loved that link you shared from Ahalogy. She really hit the nail on the head! I’m guilty of having a bad blog design, but I’m working with a designer now. I’m anxious to see how my traffic changes once I move to the new design. Yes , i have seen the power of pinterest . I used to get lots of traffic through pinterest on my blogs , because lots of people loved to do pinning the images on the board which results in increasing traffic . That is the awesome thing about Pinterest. You can do NOTHING and still see great traffic from it. Then once you start putting some effort into it, your traffic can really take off. This was amazing! Thanks so much ladies. Thanks for the positive feedback! I had a blast. Automating it really truly helps! Scheduling your pins will change your life, Kitty. Haha! I loved listening to your podcast, Rebekah! You rock! I think you were the reason I was asked to be on the show in the first place, Erin! Thank you for suggesting me. I had a great time talking with Kat. This might be an obvious question, but I’m wondering how it works when you pin one post multiple times and then go back and delete some of the older pins. If you delete your pin, will other people still have it if they repinned? Thank you for a wonderful episode! I just discovered the podcast and I’m enjoying all the back interviews. Loved this podcast! Can you tell us how to find the Pinterest Groups you mentioned? How do we find the groups in our niche? Thanks! What about the legal responsibilities? What should I know about when using someone else’s images? I have been using pinterest for years since it came out. I have picked up so much and now realize I have a lot of pinterest pins to clean up and schedule. 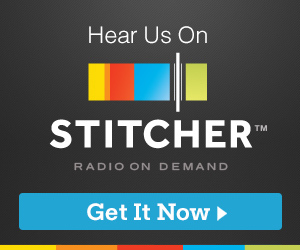 I found your blog after listening to your podcast on stitcher. I can not thank you enough for posting.